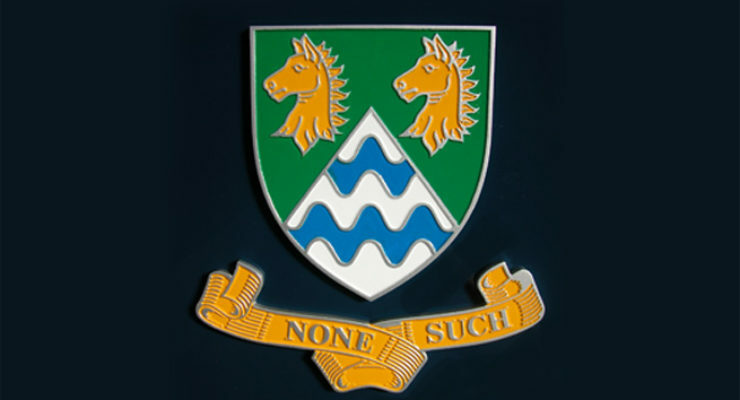 Wards of Bristol Specialise in the accurate manufacture, restoration and reproduction of historic and new coats of arms and are able to manufacture from originals, information from heraldic associations, or even from a photograph. 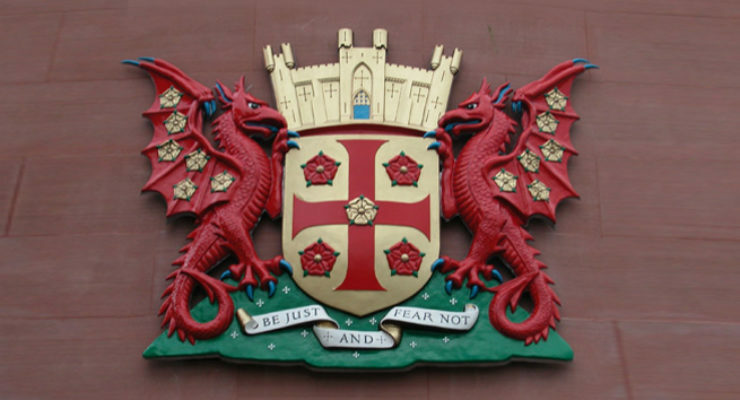 Heraldry dates back to the Middle Ages when knights in their full suits of armour we recognised by the crests they bore. 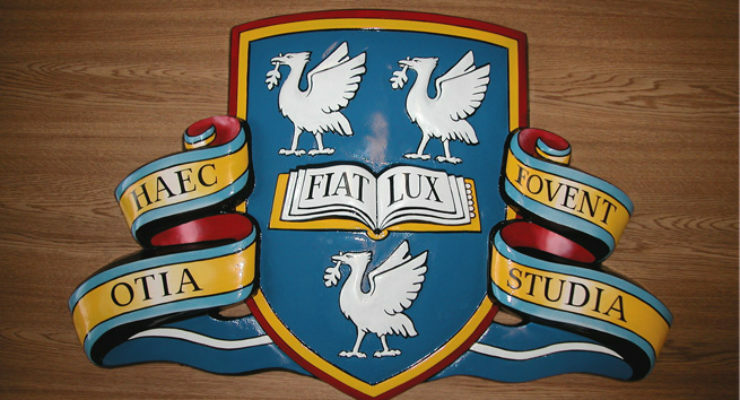 Today they still serve the same purpose of identification and association with a particular family, denomination or profession; but for a much wider audience. 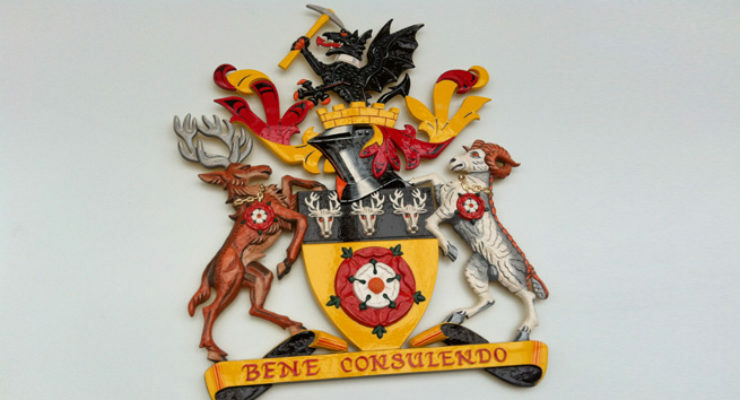 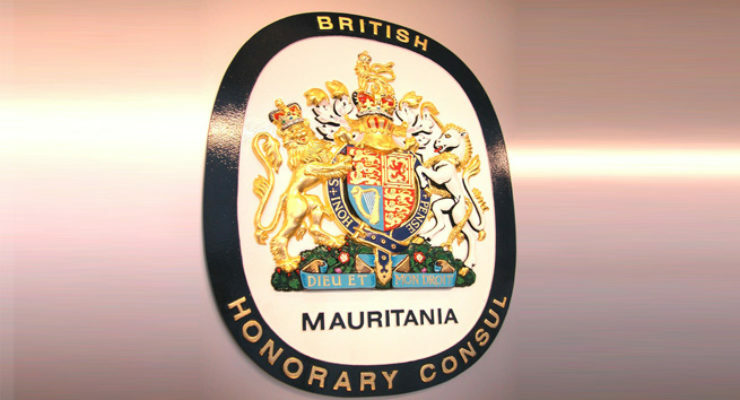 Today County Councils, Universities, Courts of Law and Embassies abroad use coats of arms, crests, logos and emblems for their identification. 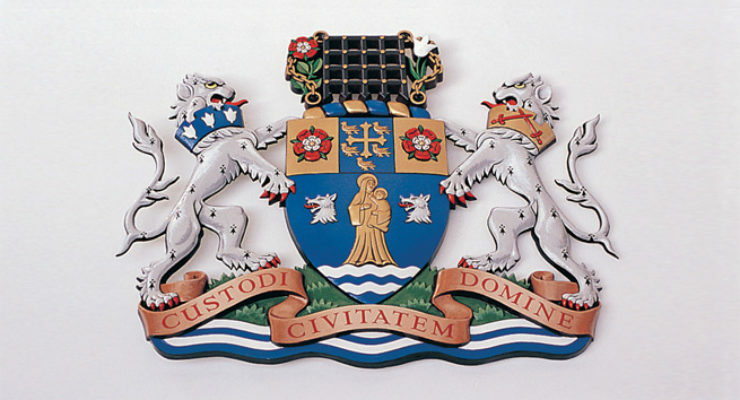 While modern-day methods and mediums are available for coats of arms, such as mechanical engraving onto mirror stainless steel, the traditional methods of producing Heraldic relief and Coats of Arms are also just as popular (not to mention) for this historic, time-honoured form of Sculpting and Artistry. 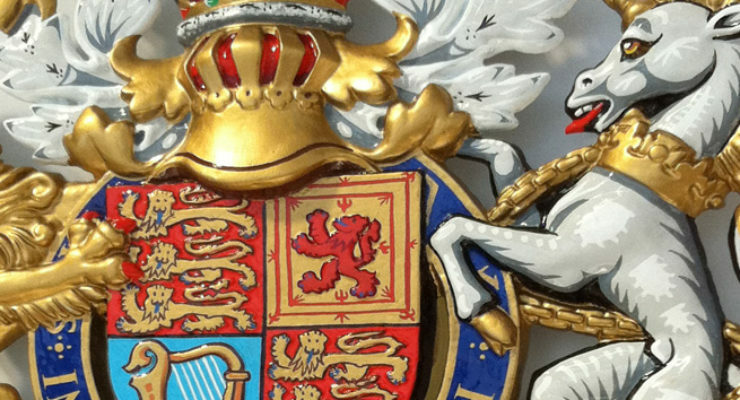 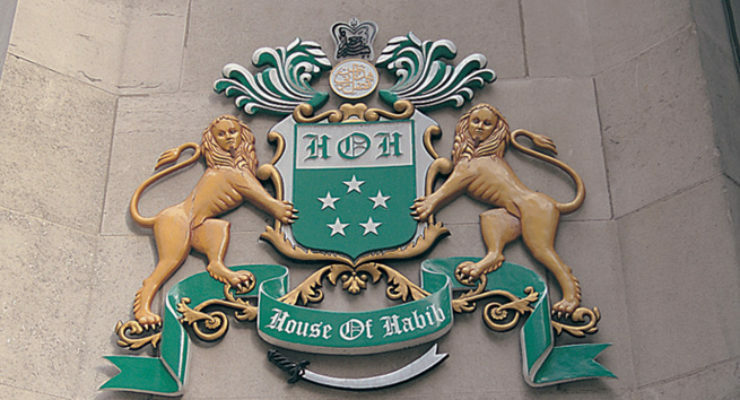 3D modelled crests and coats of arms may be manufactured from as small as 7 inches. 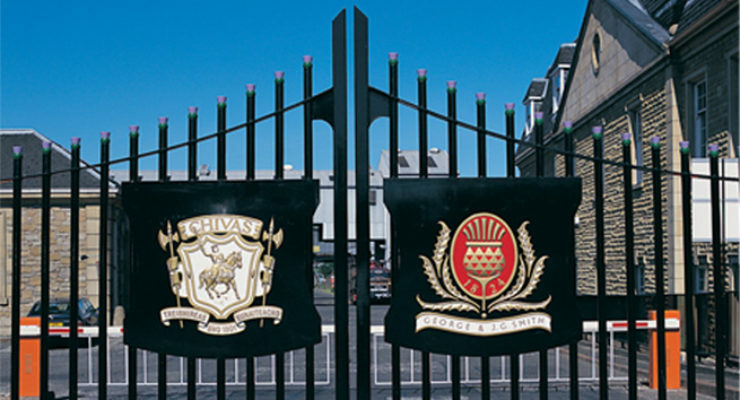 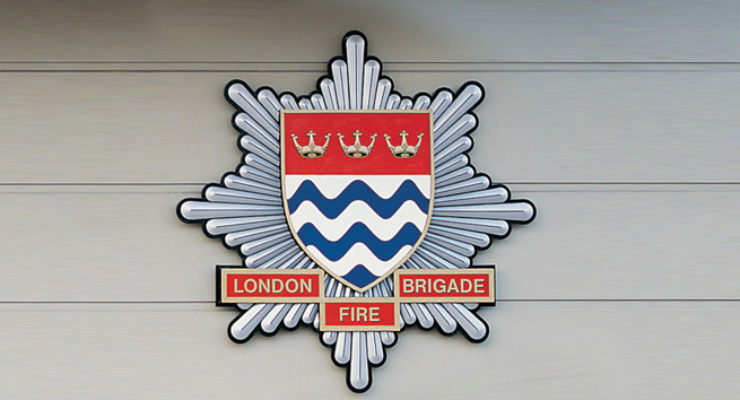 If foundry cast in aluminium or bronze, the size may go up to around 5 feet height but larger coats of arms may also be manufactured from GRP (fibreglass). 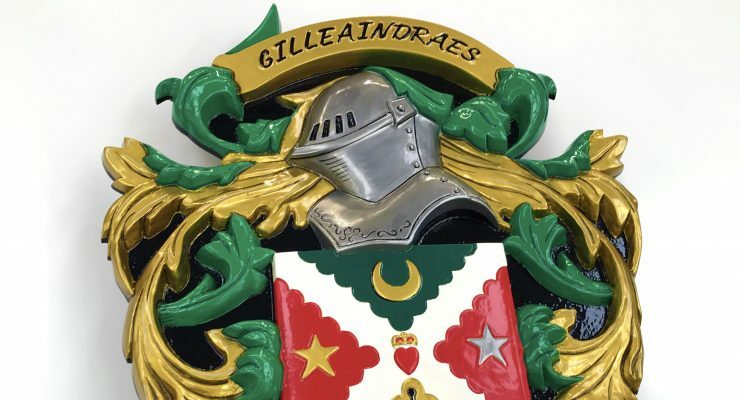 Aluminium is the preferred material for coats of arms to be made from because it allows them to be painted with the toughest of enamel paint, hardened in an oven. 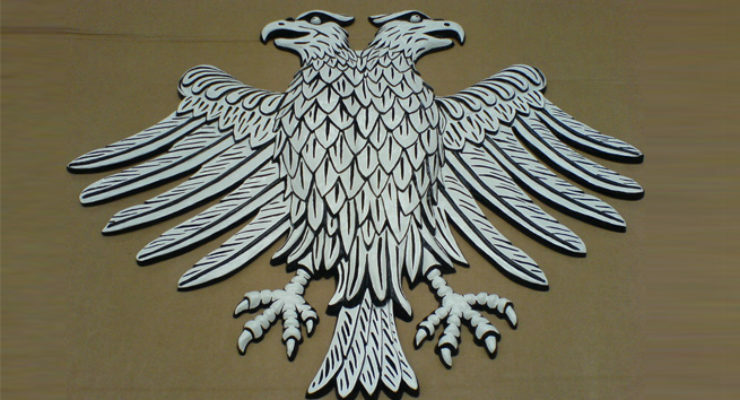 Regardless of the medium, your 3D Crest is made from, it likely needs to be painted by an accomplished heraldic artist who understands the complex nomenclature (known as “Blazon”), and rules for historic coats of arms. 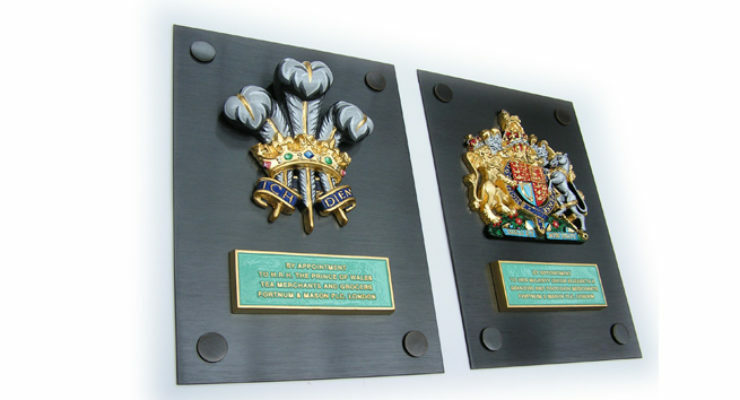 Having produced countless coats of arms for Royal Warrant holders and performed other such work on behalf of the Royal Family, you can be confident that your coat of arms will be given the attention to detail, expertise and love that any such work of art is due. 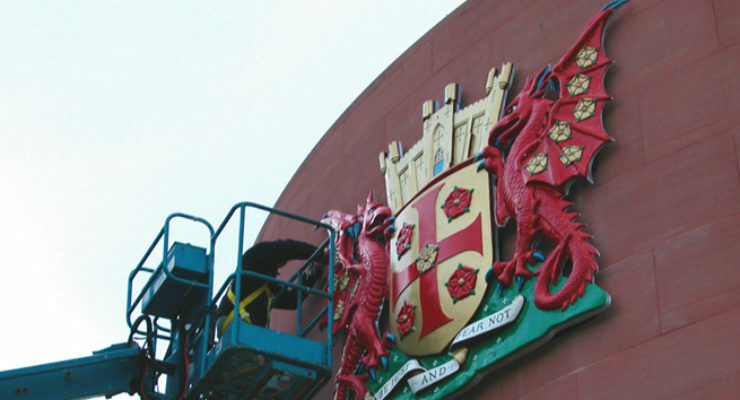 Recent Projects for Bespoke Coats of Arms, Wards Signmakers of Bristol have undertaken include Tesco’s Corporate Headquarters and Derbyshire County Council. 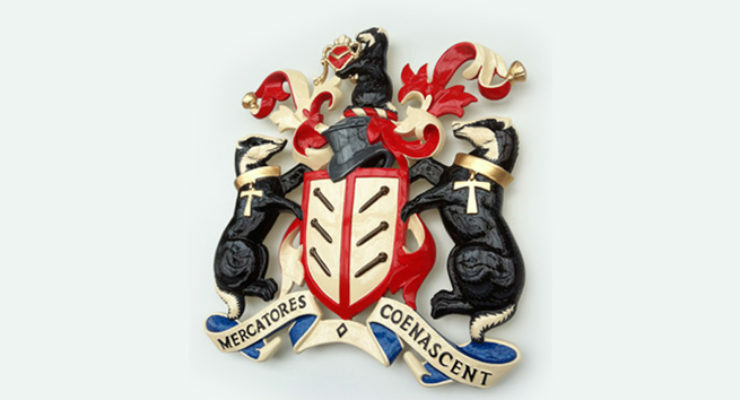 We also produce Royal Warrant Coats of Arms for customers including John Lewis, Waitrose, Jaguar Landrover and Fortnum and Mason. 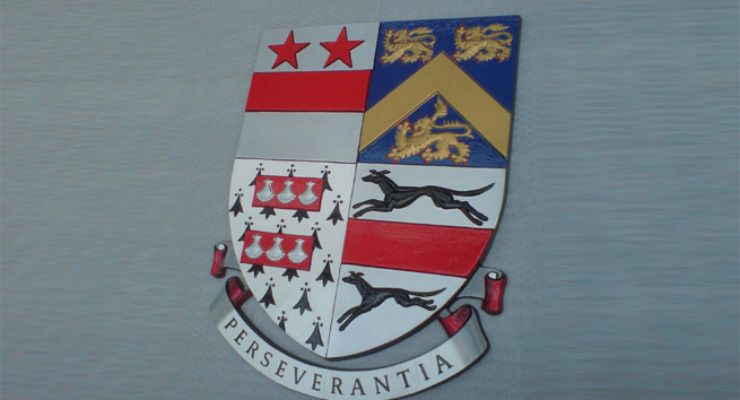 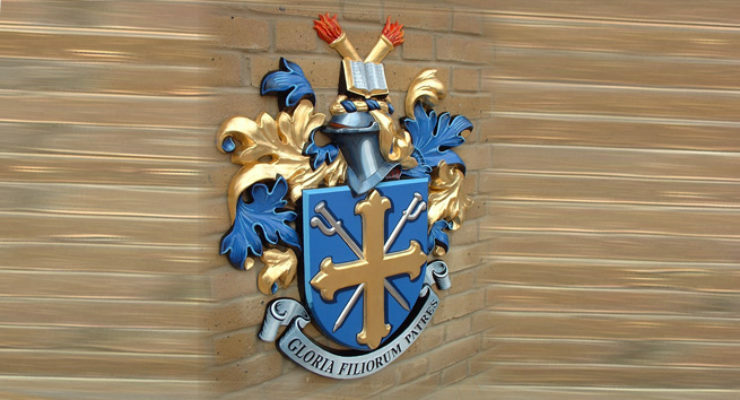 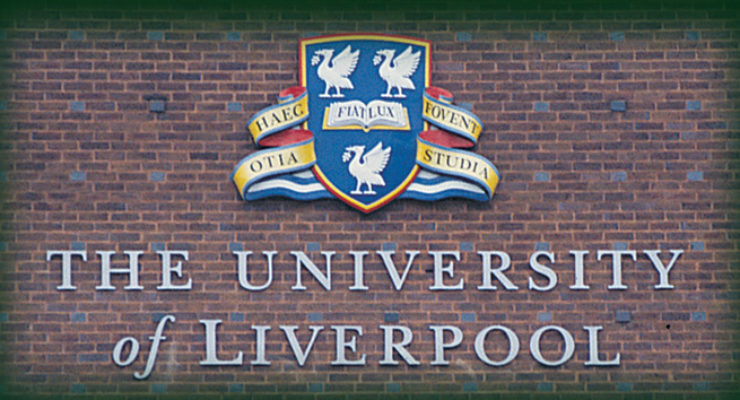 Schools, Colleges and Universities often have their own Coat of Arms. 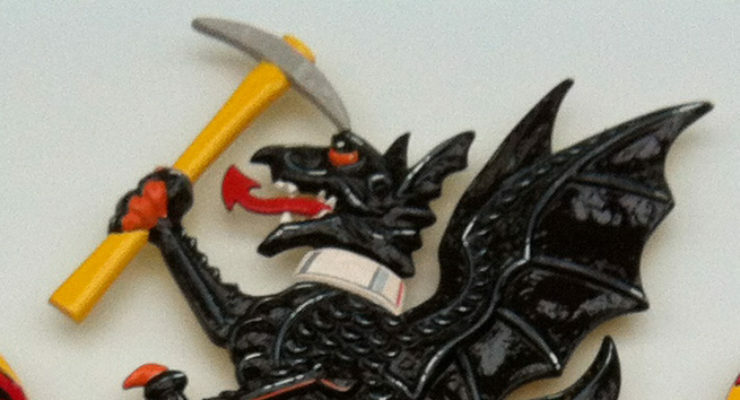 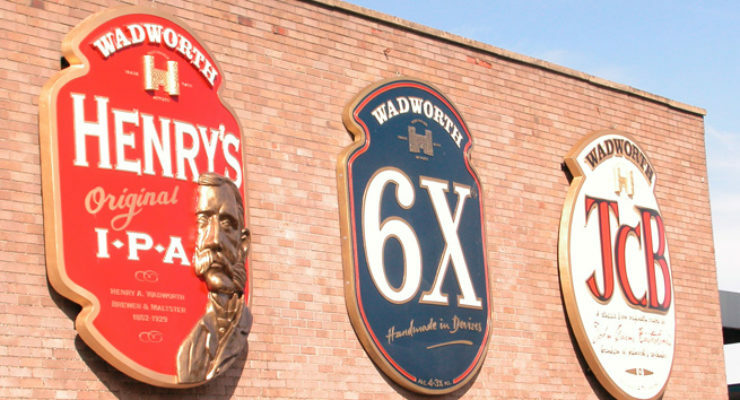 Ward Signs of Bristol are specialists in Heraldic Artistry and Restoration.